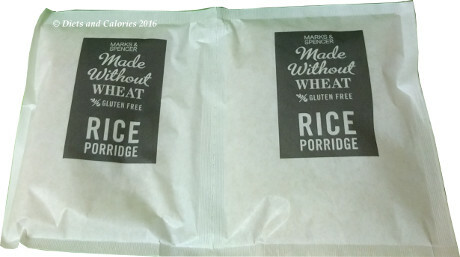 Like many of the major supermarkets, Marks & Spencer now have their own range of products aimed at those with particular intolerances, such as gluten free. Whether this trend for gluten free foods is here to stay remains to be seen. But for now, we're spoilt for choice. One product in the M&S ‘Made Without’ Wheat range is Gluten Free Rice Porridge. It's described as ‘a blend of brown rice flakes and ground maize’. Boxes contain 8 sachets, each worth 137 calories. While I’m not personally intolerant to wheat, it’s interesting to see what different brands are coming up with. 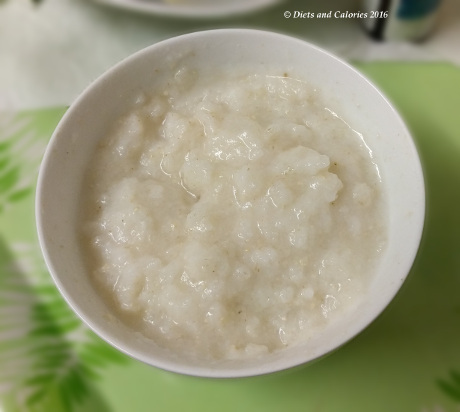 I love porridge – the traditional sort made with oats. 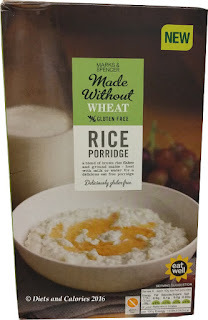 But I couldn’t help being intrigued by this new variety of porridge based on rice. Would it taste like rice pudding? Looking at the ingredients and label, it all looks super healthy. For a start, there are just two ingredients which is always a good sign. The fewer ingredients, the better. It gets a green traffic light across the board: low sugar, salt, fat and saturated fat and of course, gluten free. You can make the porridge the way you prefer – in a saucepan on the hob or in a microwave. 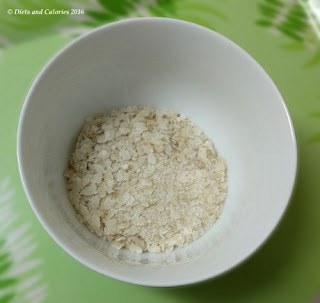 Just empty the flakes (which look like flaked rice) into a bowl, add water/milk etc. and cook for 2 minutes. I've tried cooking it both ways using coconut milk and water. At first it seems like there's far too much milk for the amount of flakes. And even when it’s done its time in the saucepan/microwave, it was still quite liquidy. However, after leaving it for about 5 minutes, my first version was nearly solid and needed to be watered down. So it’s quite deceptive. This stuff really thickens up so it take a little experimenting to get the consistency you like. It smells like rice pudding but the texture does differ as you don’t get those little chewy bits of rice. I added some sweetener in the form of Stevia which improved the taste (only because I have a sweet tooth). It’s quite soft and light, not really like oat porridge and not like rice pudding. It did however, remind me of some baby food I used to make for my kids when they were little! Overall, I can’t say I was overwhelmed with excitement by this porridge and will be returning to my regular oat porridge. However, it’s all a matter of personal taste. My daughter absolutely loved it, so she’ll be finishing of the box! Available in Marks and Spencer Food Halls. Part of the Eat Well range at M&S. 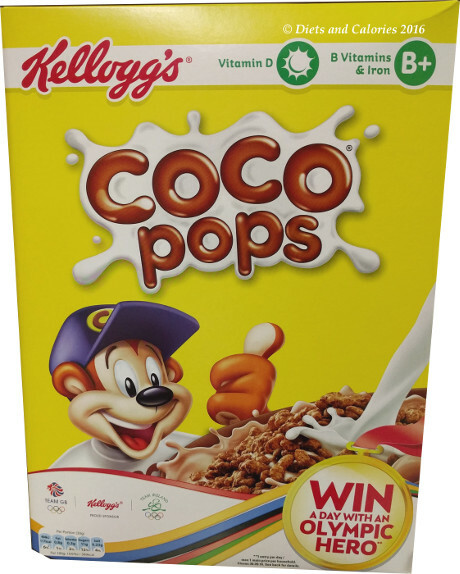 Nutritional Information per sachet (40g): 137 calories (with water), 0.6g fat, 0.1g saturates, 29.2g carbohydrates, 0.2g sugars, 1.4g fibre, 2.8g protein, 0.03g salt. 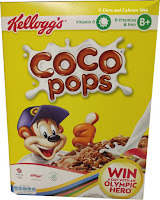 Ingredients: Brown rice flakes (65%), maize grits (35%). 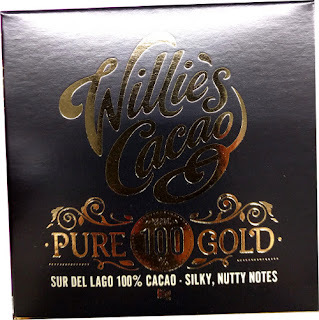 Not suitable for nut allergy sufferers due to manufacturing methods. Do you think you can do overnight oats with these rice flakes? To be honest, I'm not sure. I think the flakes would probably need to be heated to soften up though. I haven't been able to find a box of Rice Porridge for ages! My daughter keeps asking about it.